Beist has been a member of the IT security field since 2000. His first company was Cyber Research based in Seoul, South Korea and first focused on pen-testing. He then got a Computer Engineering B.A. degree from Sejong University. He has won more than 10 global CTF hacking contests in his country as well as passed DefCon quals 5 times. He has sold his research to major security companies like iDefense and ZDI (Recon ZDI contest). He has run numerous security conferences and hacking contests such as SECUINSIDE in Korea. Also, he has given talks at SYSCAN, CANSECWEST, AVTOKYO, HITCON and TROOPERS. Hunting bugs and exploiting them are his main interest. 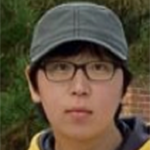 He does consulting for big companies and is now a graduate student at CIST IAS LAB, Korea University.